Why do we continue to do bloody prophies? What keeps us from providing optimum care for our patients? When we first got out of hygiene school we felt as if we had all the right tools for the job. If a patient had periodontal disease there was no stopping us from getting to the bottom of their pockets! One little problem, patients rarely followed through with care or treatment. As a clinician it is easy to become frustrated without realizing that we may be inadvertently creating our own obstacles that limit periodontal case acceptance. We get so focused on telling the patient what is wrong that we forget to ask them. We correct and try to change patients but that does not always work. What other barriers are keeping patients from thriving? How do we build a more collaborative and successful relationship? It starts with us! One of the first things that a team can do is to create systems and a practice philosophy with regards to the treatment of periodontal disease and its prevention. Everyone wins when team members understand and embrace how treatment of periodontal disease can benefit and lessen health risk factors for the patient. Input from all team members is very important so that team members are invested in the standards of care and are less likely to be siloed. Having an office protocol to address and treat and evaluate periodontal disease is important to the culture of the practice, the long-term health of the patients and creates accountability. Is each team member practicing with the same philosophy or are there different standards of care provided by each team member? Communication is paramount in building trust with our patients. In the past, dental and hygiene schools taught with a telling vs. asking philosophy. Are we creating a Co-discovery opportunity for patient ownership of their oral health? Taking time to create a relationship based on curiosity, empathy, listening and true understanding of the patient needs is the beginning of a long-lasting trusting professional relationship. It is with this kind of conversation that patient needs, assumptions and values are discovered. It is a great responsibility to help the patient become informed without judging or possibly negatively impacting an outcome. Take time to listen more and speak less. 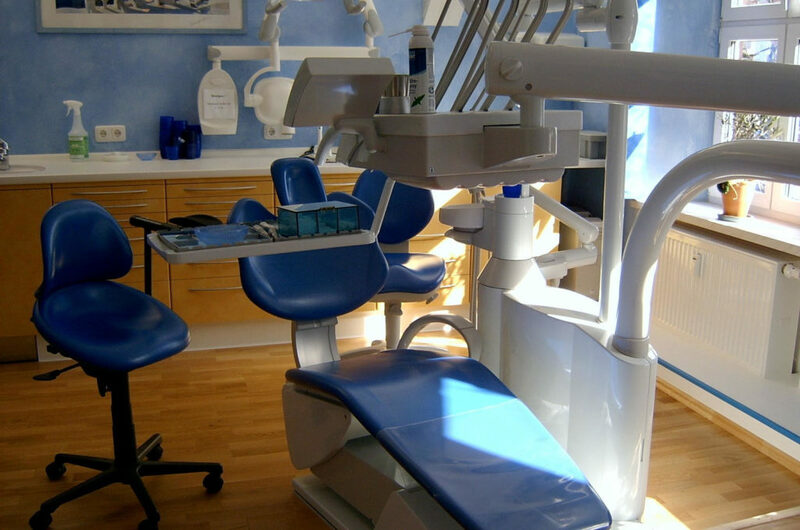 Many patients have insurance and are dependent on it to support their oral health needs. It is ironic that most patients do not even know the benefits that their employer has provided for them. We can embrace this role and become an advocate for the patient to understand their insurance benefits and what insurance can do for them and what it won’t. It is important to remember that patients often think the insurance company is looking out for them and the coverage that is provided is the top of the line care, but often it is not the case and the patient need something not covered in their benefits. You can become invaluable in helping the patient understand their dental benefits related to their oral health care needs, wants and possibilities. As a health care provider, we all have beliefs. It is these beliefs that helps us set up treatment protocols and standards of care in our practice. What we want to address here is that we also have limiting beliefs. We may believe one patient will follow through with treatment while another one won’t, so we avoid having the difficult conversation with the second patient because we anticipate or expect rejection. Do we bring false attributions and personal biases into the conversation without knowing it? Taking the time to address our limiting beliefs and increasing our self-awareness will move us more toward the kind of patient centered care we and the patient desire. Are you working as a team? Team-building and leadership is critical to the personal and professional development of each of the team members and to create a culture of accountability. Is patient care consistent in the front office and in the back office? Do you have the support of the Doctor should you feel a referral to a specialist is in the best interest of the patient? Measuring the success of your periodontal program is important to help with calibration of clinicians, introducing new modes of therapy, retreatment options, referrals and consistent conversations with the patient. Working as a team will create better communication, organizational awareness, mindset, vision and philosophy. Time can be our friend or foe. It is important to have enough time to have conversations to allow patients to fully collaborate with you on their care. It takes time to build trust. Clinicians need time to do proper work, time to give comfortable anesthetic, chart notes, SRP, SPT, homecare instructions and instrument sharpening. Not everyone fits into an hour prophy appointment. Schedule your patients according to needs. There is a misconception that a dental hygienist is not productive if he/she does not have a scaler in their hand as well as a dentist not having a drill in their hands. Invest the time to do comprehensive patient centered care and your patients will be more curious about their oral health and their needs. Meet patients where they are at not where you want them to be. Start with small steps. Over time we build trust, empathy and increase patient’s oral health awareness and case acceptance. Learn to invite the patient in to the conversation and listen with curiosity and show that you care more than showing what you know. All team members are important to the process of conversion and that each person’s role must be celebrated and fostered. Co-discovery is one of the ways to build trust in patient relationships and to help the patient own their oral health. When we know the barriers, we can address them and turn them into an opportunity for practice and personal growth for the benefit of the patient.